“Winning Works” gets more refined year after year! This year, exceptional choreographers Edgar Zendejas, Tommie-Waheed Evans, Xiang Xu and Marissa Osato brought their ingenious art to the Chicago stage. Loving and accepting yourself seemed to be the message resonating in different ways in each piece. “Lineas” (Zendejas), “Coup De Grace” (Evans) and “Give The People What They Want” (Osato) illustrated the struggle to overcome society’s limitations placed on everyone and discover your own path. “Vessels Bearing” (Xu), on the other hand, gave the audience a chance to appreciate the necessity of rice itself through a haunting performance. 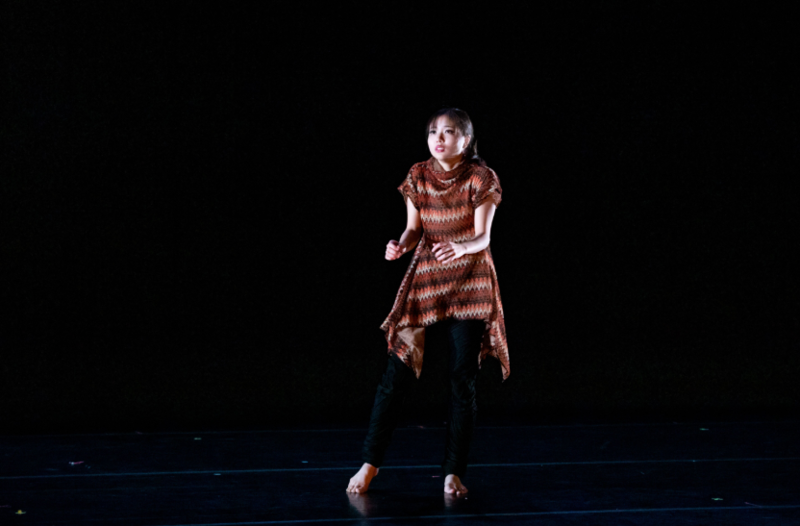 I believe the dancers did an incredible job conveying the raw emotions in each piece. Their teamwork was phenomenal! The stand out performances this year were “Lineas” and “Give The People What They Want”. “Lineas” used the simple idea of lines to tell the story of people following certain directions in life. I liked the bright outfits and idiosyncratic dance moves. “Give The People What They Want” started off strong with a fun fashion show. It slowly explored the need to break out of society’s strict life rules and ponder the life meant for you. This particular piece opened my eyes as well. Again, I loved the chic ensembles the dancers wore. The attire in each performance was stunning. This is “Winning Works” BEST year when it came to choreography and clothing (costume designers Martha Chamberlain, Luis Razo and Michael Slack). Congratulations once again to the choreographers on their thought-provoking and entertaining dances. 9th Annual “Winning Works” runs through March 10th at the Museum of Contemporary Art in Chicago. This entry was posted in Dance, Entertainment, Reviews and tagged Edgar Zendejas, Marissa Osato, The Joffrey Ballet, Tommie - Waheed Evans, Winning Works, Xiang Xu. Bookmark the permalink.